With the housing market boom of the past decade, communities across the country have seen drastic increases in the costs of land and housing. 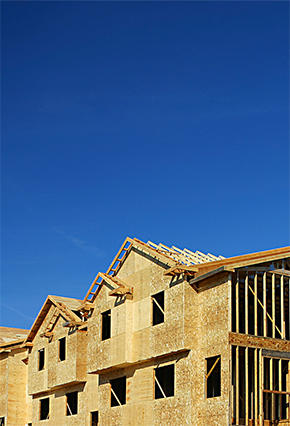 In response to the growing need for affordable housing, state and local governments have begun to take steps to encourage or require the construction of affordable housing units when new developments are approved. This article examines legal issues surrounding the use of incentive zoning and inclusionary housing to address affordable housing needs in Washington State. As used in this article, the term “incentive zoning” means a regulatory program that provides for optional incentives or “bonuses” (such as increased density, adjustments to height restrictions, or modifications to other zoning requirements) in exchange for the developer’s provision of affordable housing. The majority of Washington jurisdictions adopting affordable housing programs have chosen to provide optional, as opposed to mandatory, incentives to developers. For example, the City of Seattle offers incentive zoning options for commercial and residential development in certain downtown zones, and the City Council is currently considering amendments that would add such options in other zones throughout the City. By contrast, “inclusionary housing” refers to regulations that impose mandatory affordable housing requirements. At least one Washington jurisdiction, the City of Redmond, has adopted a mandatory program that requires developers to allocate at least ten percent of the total number of housing units in certain developments as affordable housing, regardless of whether or not the developer makes use of the density bonus provided under the program. Recent state legislation has provided some clarity regarding the use of voluntary programs in Washington. This article focuses on the remaining ambiguity regarding mandatory programs and uses the Redmond program as an example to evaluate the legality of such programs. This is the introduction of an article originally appeared in the Winter 2007-2008 issue of the newsletter for the Real Property, Probate & Trust section of the Washington State Bar Association. To access the full newsletter, click here.